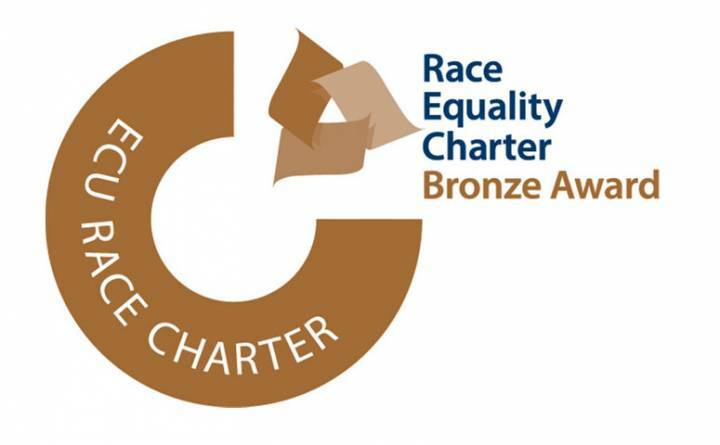 Kingston University is proud to be one of just eight institutions to hold the Race Equality Charter bronze award for our ongoing commitment and active steps to improving race equality for its staff and students. Tina Chanter, Head of School of Humanities, "would like to thank to all of the team for their vital, energetic, and committed input. Your input has also helped to change the climate in positive and important ways. We want to keep that momentum moving forward as we deliver the action plan." To qualify for the ECU's Race Equality Charter, the University had to show commitment to five key principles of the charter and adopt them within its policies, practices and culture. A self-assessment team was set up to undertake a full evaluation of Kingston University and how the University adhered to these principles. As part of this process the team looked at the University in detail to identify key issues and barriers around race equality and look at what the University has already be doing to rectify them. Staff and students were consulted through surveys and focus groups, the data was analysed, and a plan of action for the next three years was created. Download the Kingston University Race Equality Charter application form (PDF). Download the Kingston University Race Equality Charter Action Plan (PDF). The University welcomes and encourages feedback about our work on the Race Equality Charter. If you would like to provide feedback or have any other query about this, please email equality@kingston.ac.uk.